I like the cleanliness of the property and it is very convenient to the train and some restaurants. The staff was great. I will recommend this hotel / hostel to any one. Location was great since it was very close to the central station. It was helpful for me given that i usually travel by train. The reception was nice as well since i was able to stay there late at night while waiting for my next trip. Storage was helpful. Room was really big and the bathroom was in the room. Common areas were very large and well stocked with vending machines. The food was great. The room cleaners were very polite and warm. Reception was helpful, could need a little more empathy to distressed customers. I like it where the hotel located, and the access of internet was available everywhere. The guest kitchen was amazing. I liked the staff and Receptionists. They were very helpful. A 5-minute walk from Berliner Tor Train Station and just 1 stop from Hamburg Central Station, this hostel has a 24-hour reception. Free WiFi is available throughout the property. 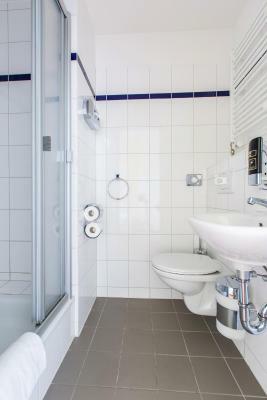 Bright, nonsmoking rooms with private bathrooms are offered at the a&o Hamburg City. Rooms are decorated in sunny yellow colors, and bed sheets and towels are provided in the private rooms. 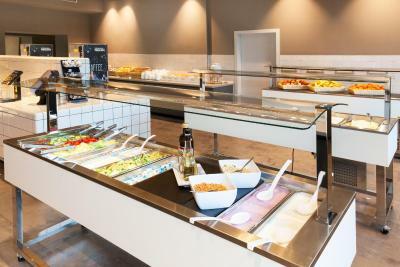 Breakfast can be booked at the Hamburg City. There are also vending machines for snacks and drinks, and packed lunches can be prepared on request. In the evenings, guests can relax in the bar. There is also a games room with billiards, table football and a Wii games console. Younger guests will enjoy the children’s play room. Guests can enjoy satellite TV broadcasting various sport channels in the lobby and bar. Sightseeing tours can be booked at reception. 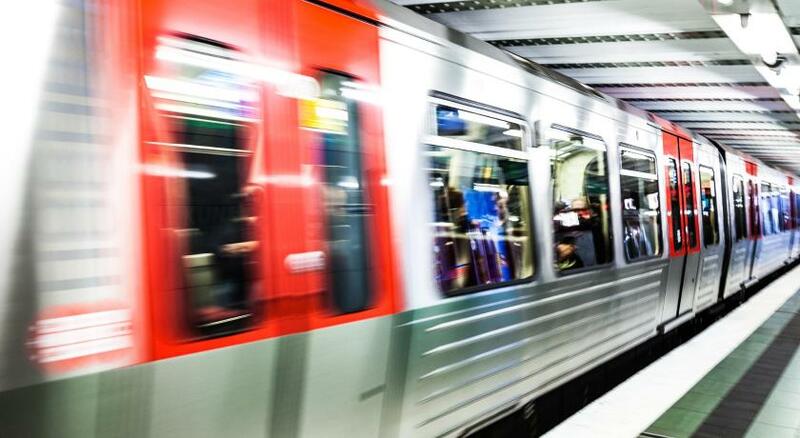 Underground and S-Bahn trains run directly to Hamburg Central Station, Hamburg Harbor and the lively Reeperbahn. When would you like to stay at a&o Hamburg City? Bright room includes a private bathroom with a hairdryer. The rate is based on 2 adults and 2 children under 17 years old. Children must also have proof of identity. Please note that towels/linens and breakfast are not included. 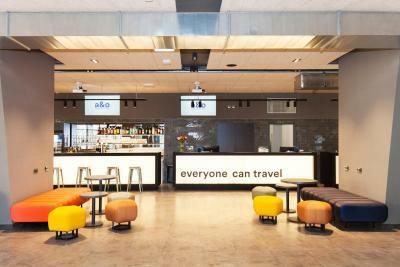 The A&O Hamburg City opened in May 2012. The house offers modernly furnished single, double or family rooms with a 2** hotel standard (hotel area) and spacious 4 to 8 dorms with comfortable beds (hostel area). The spacious lobby and entrance area, with billiard, driving simulator and table soccer as well as a kids' play area, provides a welcoming atmosphere with an international charm. New: Wi-Fi is free of charge in every room and in all public areas! The A&O Hamburg City has a central location and very good connections to all public transportation. It is just a short 5 minute walk to the Central Station. Due to its central location the A&O is ideal to reach by car, by all forms of public transportation, and is a great starting point for excursions into the city of Hamburg. House Rules a&o Hamburg City takes special requests – add in the next step! a&amp;o Hamburg City accepts these cards and reserves the right to temporarily hold an amount prior to arrival. a&o Hamburg City accepts these cards and reserves the right to temporarily hold an amount prior to arrival. Please note there are no parking spaces available at the property. Good location, 24/7 open bar and rest area, good quality for the money. Was all good, nothing to to complain about. The room was clean. People on the reception was friendly and breakfast was fresh and tasty. Sleeping at night is hard because of the noise outside. the Building looks like not build using noise safe system. Kitchen very dirty. I want to use cup but looks like not clean for few month....I am shocked. hotel located nearby downtown so easy to looking around. More services available in the self service kitchen area. Only one stove was available at all times which meant a lot of waiting to cook your own stuff. Easy access to the city by either walking or by taking the local U-Bahn. The wifi was good and easy to use. Cleaning of the rooms and the white sheets. We used the same white sheets for the 4 nights we spent. The breakfast was very good and nice.